Hello folks, I have been enjoying folding the Gigantosaurus (from Nature Study), I am using 36" x 36" tracing paper treated with MC. 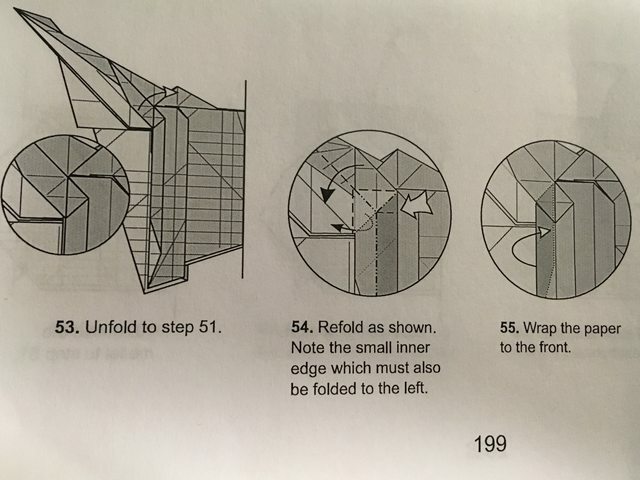 I have gotten stuck on step 55. 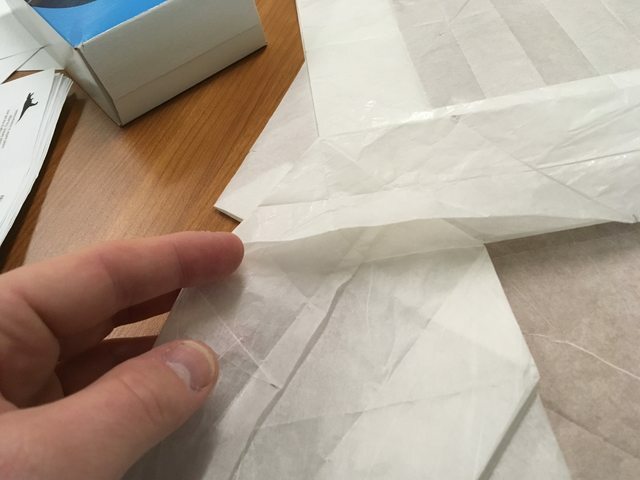 It says "Wrap the paper to the front" but I cannot figure out a way to do this. I'm not sure if I messed up somehow earlier in the process?!?! 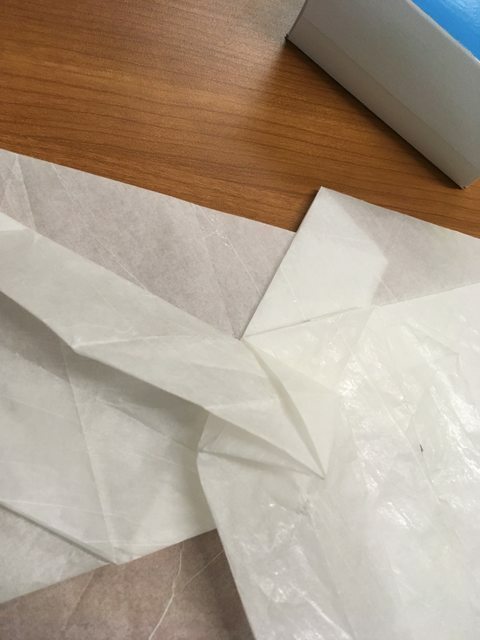 I cannot figure out any sensible way to bring this bit of paper around to the front that does not result in a crumpled mess. Maybe I am somehow missing the "small inner edge" ?? Any help very much appreciated. I will keep wrestling with it. Can you try closed sinking it and then folding it over? Otherwise I'd be stumped too. Come to CenterFold this weekend and you can ask Shuki himself. steingar wrote: Come to CenterFold this weekend and you can ask Shuki himself. Based solely on the pictures you posted (I don't have the book), I'd recommend closed-sinking the edge and folding it out from underneath. I appreciate the responses. I don't quite see how it could be a closed sink. It is more of a swivel fold with a squash to get from 54 to 55. I have added a video which might make things clearer. Step 54 is a kind of spread-sink with a swivel-fold, yes. To closed-sink the edge, the vertical crease undone by the spread-sink will be the line you're sinking along. The mountain fold(s) created in 54 will all be turned into valley folds.